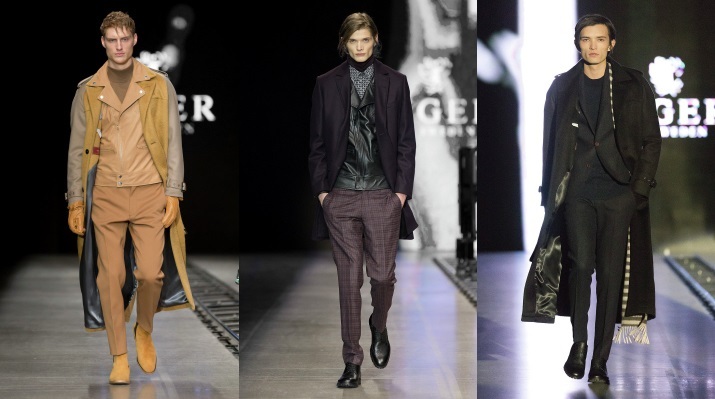 Tiger of Sweden wrapped up Mercedes-Benz Fashion Week Stockholm’s Autumn/Winter 2014 season with the largest show of the week on Jan. 29, 2014. Inspired by timeless actors and rock ’n’ roll icons, the autumn collection features strong silhouettes in a soft, expressive colour palette, in line with the sleek tailoring tradition that has become synonymous with the brand. In the men’s collection, a monochrome palette is offset by softer elements in camel and beige, with muted bold colour accents. The structure and patterns of the garments are inspired by classic men’s tailoring, including key pieces such as the double-breasted suit with jigger buttons. A full-length trench coat made exclusively of mohair highlights the longer, oversized silhouette the autumn outerwear collection is built on. Womenswear designers Shena Neville and Tine Grandahl further develop the balance between soft, classic feminine garments and the more pronounced, tailored, masculine silhouette found in the menswear designs. Built on a black foundation with nuances of grey and winter white, the colour scheme is accented with green, purple, pink and dark blue. 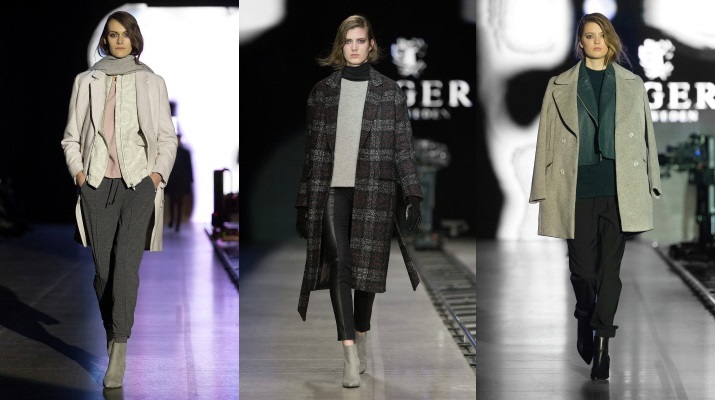 Key garments include a minimalist cut blazer and an unlined, graphic plaid print coat. Monochromatic patterns and a strong sport influence strengthen the feeling of a modern, relaxed feminine look. “There’s a lot going on at Tiger right now. Our international journey continues, aimed at quickly establishing ourselves in the world’s foremost fashion capitals – Paris and New York, while Stockholm and the Stockholm fashion week remains our home ground,” said David Thunmarker, CEO of Tiger of Sweden.